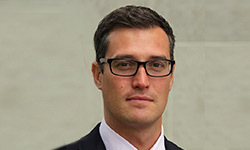 Ben has been at Hargreaves Lansdown for over 15 years, joining initially as an Investment Consultant. Ben has spent a significant period of his career at Hargreaves Lansdown helping businesses implement savings, investment and retirement solutions for their staff, advising across a range of sectors including Formula 1, The Arts, Technology, Investment Banking and Media. Ben was very flexible in arranging times and meetings. He completely understood our goals and objectives. He listened and ensured we understood the current financial markets, explained fully the investments and costs involved and identified options from competition. His most important asset is that he is not a salesman, he listens, provides advice keeps the conversation on track to achieve the right outcomes. Both myself and my wife have been extremely happy with the service provided by Ben and would recommend him to friends and family without hesitation.